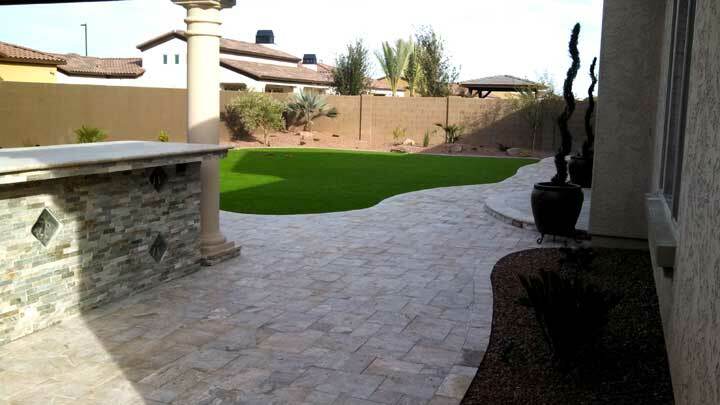 A professional, custom, and creative Arizona landscape design sets your home apart, maximizes your outdoor living space, and creates a unique oasis for your family to enjoy. It is also one of the most cost-effective ways to increase the value of your house. 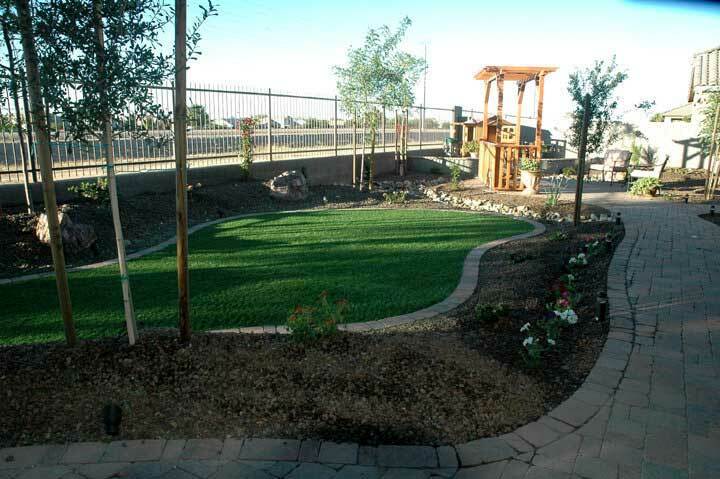 Arizona Living Landscape is a full service landscape company in Queen Creek, Arizona. We serve Queen Creek, San Tan Valley, Gilbert, Chandler, Phoenix and Mesa Arizona in all of your landscaping needs. 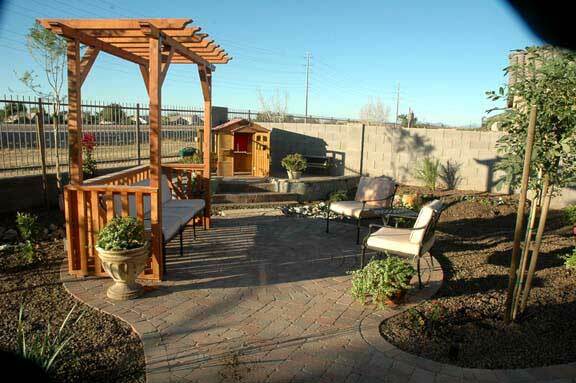 Our professional landscape designers will sit with you one on one and go over your wants and needs. We will work with you to custom design the front or back yard landscape of your dreams tailored to your specifications FREE of charge. 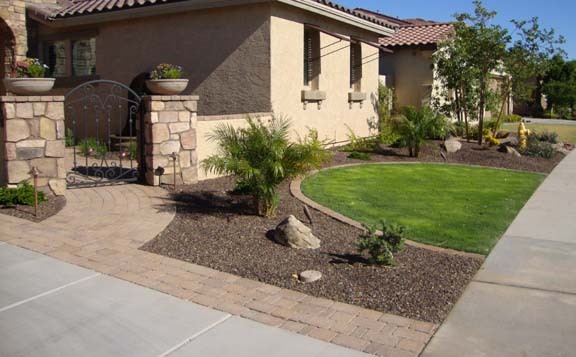 We specialize in Arizona landscape design and we have the expertise and experience to complete your job to your complete satisfaction, nothing less. 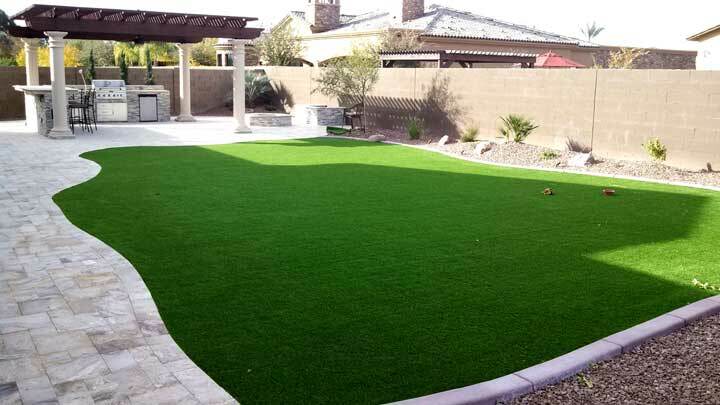 Backyard landscape with travertine paver patio, synthetic grass, and built-in entertainment area. 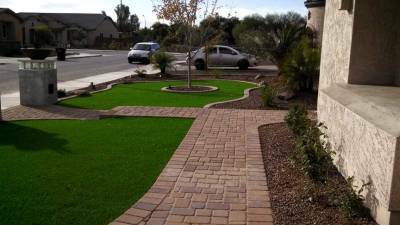 Front yard landscape design with synthetic grass and paver sidewalk with desert plants for a low maintenance Arizona yard. 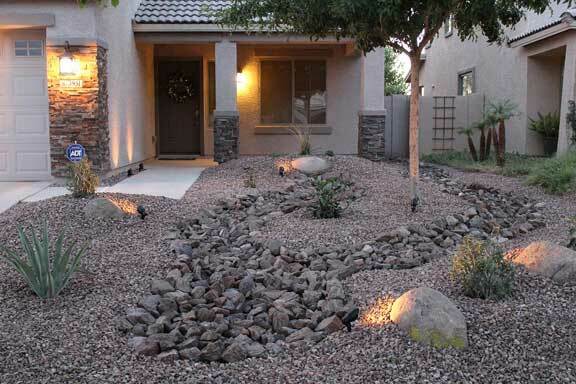 Front yard desert landscape with rock, river bed, and desert plants for low maintenance Arizona Desert yard. Front yard landscape with grass, courtyard in pavers and cultured stone wrapped pillars with custom iron gate. 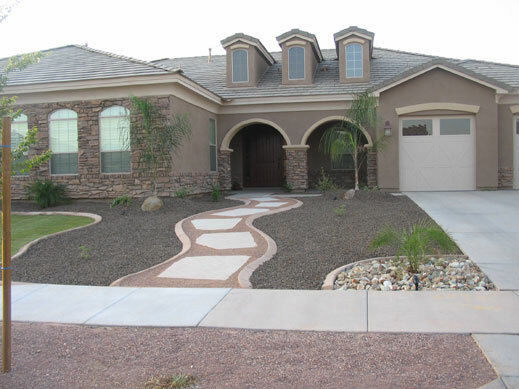 Createive Landscape Design in a front yard with contrasting walkway, grass, and desert plants. 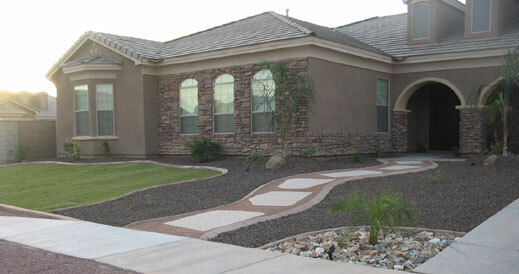 Arizona Landscape Design in a front yard.